Below you can view all the homes for sale in the Grande Dunes Capri Village subdivision located in Myrtle Beach South Carolina. Listings in Grande Dunes Capri Village are updated daily from data we receive from the Myrtle Beach multiple listing service. To learn more about any of these homes or to receive custom notifications when a new property is listed for sale in Grande Dunes Capri Village, give us a call at 843-407-3511. 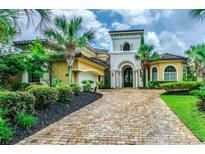 Grande Dunes offers 2 championship golf course, 130 slip marina, a 25,000 sqft Ocean Club with a 26,000 gal swimming oasis, and a award winning tennis facility. MLS#1905841. Please visit our sales gallery located in Grande Dunes Marketplace next to Lowes Foods to learn more about this amazing community you can call home. MLS#1819326. These statistics are updated daily from the Coastal Carolinas Association of REALTORS® MLS. For further analysis or to obtain statistics not shown below please call Highgarden Real Estate at 843-407-3511 and speak with one of our real estate consultants.